ScheduFlow is Duoserve’s cloud-based scheduling software that enables users to create, share, and manage calendars. Its features include appointment template creation, drag-and-drop rescheduling, calendar visualization, and more. In this article, we cover ScheduFlow reviews and pricing. Ready to get started? Get a free trial. Users who gave ScheduFlow a positive review like that the software is affordable and easy to use. Most others are impressed with its features and customization capabilities. One user who gave ScheduFlow a positive review on Capterra commended its ease of use and reasonable pricing. She also appreciates that the platform is highly customizable according to her needs. As of March 2019, there are very few negative ScheduFlow reviews online. If you are a past or current ScheduFlow customer, leave a review to help others who are deciding whether or not to use the software. The ScheduFlow pricing scheme consists of three paid plans: Starter ($29.95/month), Most Popular ($52.95/month), and Enterprise ($189.95/month). The main differences between the plans are the numbers of allowed computers and calendars as well as the level of support services. Ready to get started with ScheduFlow? Get a free trial. 4 Best Appointment Scheduling Software 2019: Reviews & Pricing: Appointment setting software allows your clients and customers to book appointments with you more efficiently and effectively. Read on for our comparison and review of Acuity Scheduling, Bookeo Appointments, Square Appointments, and 10to8. Yes, it is. Users can access ScheduFlow from any device, such as computers, tablets, and mobile phones. 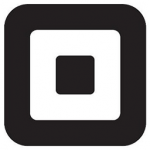 Are users required to provide their credit card details to sign up for a free trial? No, they are not. However, they will be required to input basic contact information. 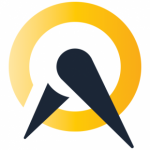 Have you read these ScheduFlow reviews and are still not sure if it’s the right fit for you? 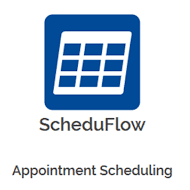 Read our reviews of all top appointment scheduling software or check out one of these three ScheduFlow competitors. This is a great scheduling system, with great customer service. This is more for office type appointments and not so much outside service appointments. That they catered more towards office type scheduling.